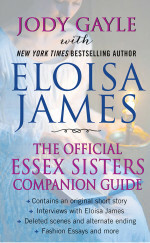 What IS the Essex Sisters Companion Guide, exactly? It’s a present for all my readers who loved the Essex Sisters—my series about four Scottish girls who find themselves orphaned and under the care of a drunken, rascally duke. But in reality, you don’t need to have read those books—or remember them—to enjoy this book. Do you love history? The Companion includes essays about fashion, newspapers, gambling, theater and more. Do you love my novellas? 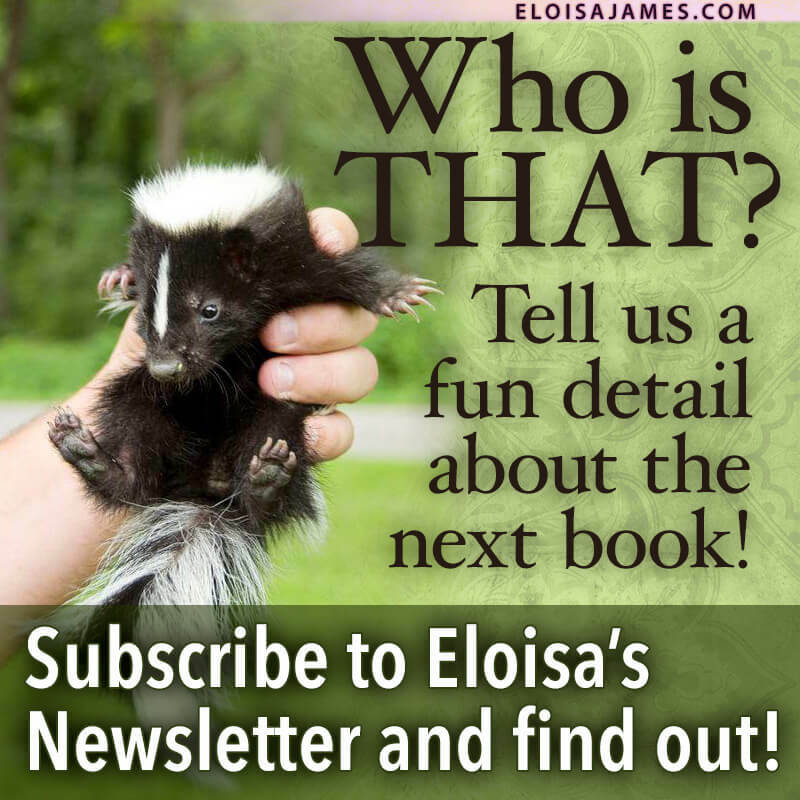 There’s a novella here that you can’t get elsewhere! “A Midsummer Night’s Disgrace” is pure pleasure in a small package—the story of a young lady who’s made up her mind to rebel! Are you interested in how romance novels are constructed? I wrote a 100-page essay that traces this series from its very first idea right through editing, copyediting, making the cover, and more. Are you curious what the first version of Kiss Me, Annabel looks like? Here, for the very first time, is a 140-page alternate ending to this popular novel. It’s the novel the way I initially constructed it—a passionate, darker version of the novel you can read in publication. Read them both and see which one you like best! So, in short, the Companion is over 500 pages of fascinating fiction and history, the perfect gift for a writer, reader, or yourself!